When I first got pregnant with my second child I kept thinking “I’m giving my older child such a gift: the gift of a sibling!” While in the long run I knew this statement would be true…there were many days where I would wonder when that sibling relationship would start to feel like a gift! My older two children are 6 and 3 ½ and used to spend a lot of their time bickering over toys, over whose turn it is, over basically everything. Hearing them bickering and being a referee totally stole my joy. I LOVE being a mom and I love my job as their full time care provider but, man, its’ exhausting to constantly having to hear their battles and dictate who “wins” time and time again. When I realized how much the constant arguing affected me and my ability to be the best parent possible I knew we’d reached a limit with it and something had to be done. My goal is for my children to have strong bonds as siblings. I want them to be buddies, to have each other’s backs. I want for them to share laugher, not tears. In dealing with the daily battles between them, I decided I needed to stay out of it as much as possible. By letting them work it out between each other, it illuminates the middle man (me) which allows that middle man (me) to keep her sanity. Aside from helping me keep my cool, working things out between themselves also helps their bond. They learn to better communicate and compromise and can create that stronger bond by learning each other on a personal level rather than using Mommy to mediate every little issue that pops up. I have found that SO MANY sibling issues can be solved using two simple words: “Please stop.” I know. It’s crazy. But it’s a game changer! I found that most often when the kids would come to me to tattle it was truly a game of blame and I was tired of being stuck in the middle of that mess. By telling the kids to use “please stop” when they are bothered by something the other was doing, it eliminated majority of the issues we were having. The person who is the recipient of the “please stop” also knows that it means just that. To stop. Whatever they are doing they need to stop doing it. I talk about respecting each other and giving each other distance when it is needed. By stopping whatever is going on when they hear this phrase they are helping prevent bad choices from happening and prevent a situation where they will both most likely get disciplined as well. Kye is building blocks. Britt keeps knocking them down. Rather than getting angry and hitting Britt (which is what would commonly occur in the past) Kye says “please stop.” Britt then realizes she is crossing that line and she stops. Britt is playing and Kye continually bosses her around. She gets annoyed by this and doesn’t want to do what he’s telling her to do so rather than throw things (which is what would often happen in this situations) she says “please stop.” Kye then knows that he’s frustrating her and will stop. 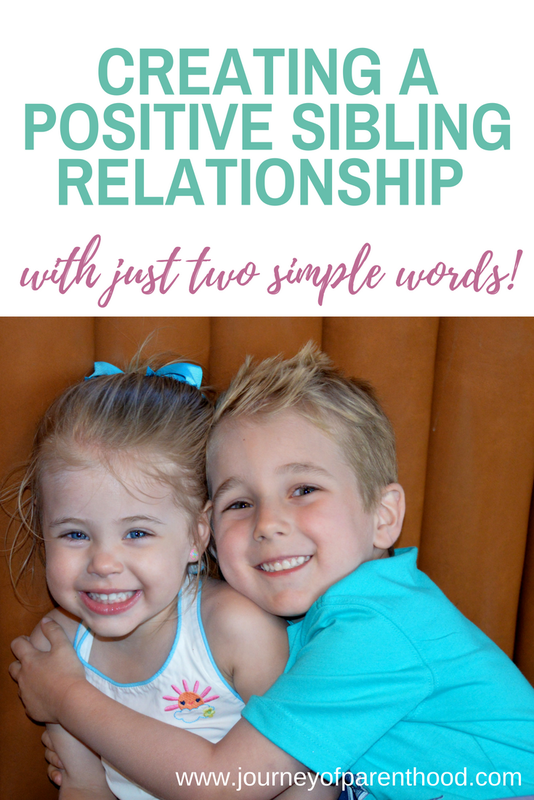 Of course I know it sounds too good to be true…two words solve sibling problems? By implementing the use of “please stop” in our home we have drastically cut down on the number of times the kids come running to us upset with each other. Instead this phrase helps them to know to take some space and is a great tool in resolving their conflicts. And when they do come running to tattle to us? I ask them each to explain their side of the situation and ask them if they said “please stop” or not. Sometimes they do and sometimes the other person chooses to ignore the request to stop and then further discipline action may be taken at that point. But by having the code words being used, it helps to break down the situation and figure out how to best solve it. Having a code phrase also makes it easy for my listening ears to know when I need to interject in a situation. If I hear the phrase being used but the recipient isn’t stopping, i’m able to step in before things get out of hand and remind them that they were asked to please stop so they need to do so immediately. I love the words of both “please” and “stop” for multiple reasons. I want my children to always be kind and always show God’s love to everyone. Please is a kind way to ask someone to do something. It’s not bossy. It’s not mean. It’s not said out of anger. It’s a kind request. We love each other and should always speak in kindness to each other, even if we don’t always think the other person is deserving of our kindness in that situation. I also want my children to understand boundaries and understand their own limits in situations. I want them to be clear with their emotions and able to tell someone to stop when needed. They may face times in their lives where telling someone to stop will be necessary. I don’t want them to hesitate if those circumstances arise so using a firm, clear word such a “stop” is a great way to communicate to others when they have had enough. Not only is this a usual tool with siblings, but it’s been great for our family as a whole. We all know that feeling of being tickled and saying “stop stop stop!” but still laughing and really secretly wanting the tickling to keep going. Our kids know that when they truly want us to stop doing something, they can say “please stop.” Sometimes we play too rough, or tickle too long, or ask too many questions, or laugh too much at a situation. I always want to create an environment in our home where everyone feels respected, including our children. Different children may have different personal limits and by using “please stop” they let us know when those limits have been reached. For example, Britt loves to be laughed at. She makes jokes constantly and we’ve never heard her say “please stop” in regards to laughing at her. Kye, on the other hand, doesn’t like to be laughed at. He doesn’t enjoy that kind of attention and if he says something funny he will get embarrassed and bothered if we laugh at him too long or too hard. He uses “please stop” often in this situation to let us know he’s reached that limit. 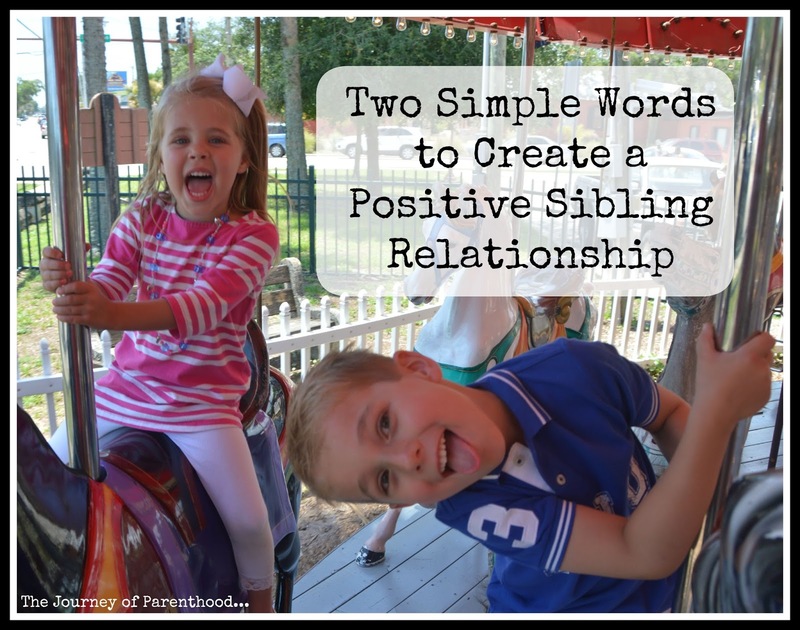 Using these two simple words have helped our children communicate with each other and with us as their parents as well. By communicating their feelings in a clear, concise way it helps to minimize the poor choices often made when they are pushed passed their personal limits. We all know that feeling of being pushed and pushed and when we reach that breaking point where it’s just impossible to hold back anymore. Maybe you lash out with unkind words, maybe you throw something, maybe you cry or yell. Children have those boundaries too and need help to learn how to best communicate those feelings to avoid poor choices that can be easily made in the heat of the moment. I encourage you to use the phrase “please stop” with your children. Teach them when to use it and how to use it and see what results you get from them! I’d love to hear how it works in your home!